1. People who just want to cover up the stink on fabric with something that smells pretty. 2. People who want to kill the source of the stink and have their room smell like nothing at all. 3. People who want to kill the source or the stink with something that smells pretty. 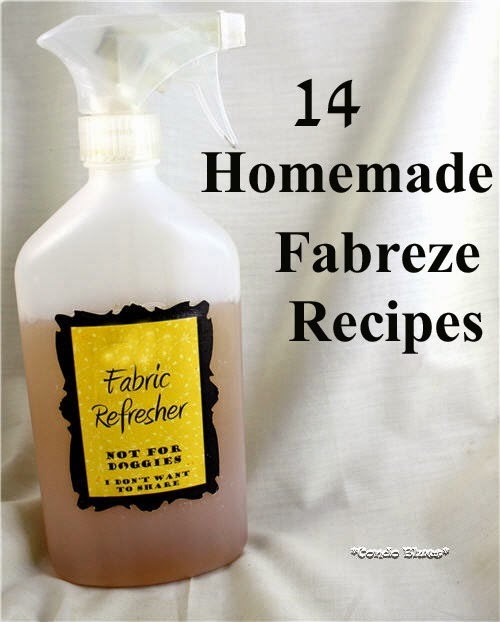 I researched and experimented with making different fabric refresher recipes and testing them so I have a homemade fabric refresher recipe no matter what camp you are in. What can I say? It has been a looooong winter. I know exactly what is my version of Fabreze so it is safer and it costs a heck of a lot less than the store brand stuff. You can use any of the deodorizers full strength although the item may end up smelling like vinegar or rubbing alcohol, which is why I suggest diluting it with water. It is also less expensive to make this way and still gets the job done. Recipe 2. 1/4 part rubbing alcohol + water - the rubbing alcohol evaporates quickly so it is safe to use around children and pets. Recipe 4. 1/4 part baking soda (bicarbonate of soda) + water – you may have to shake the bottle to remix it before each use. I like the type of fabric spray that kills the bacteria making the funk and leaves a nice and natural smell behind. That’s why I scent my fake Fabreze with several drops of pure essential oil or my homemade lavender extract. Be aware that some bottles marked fragrance oil may be a blend of natural and synthetic essential oils. Recipe 1. 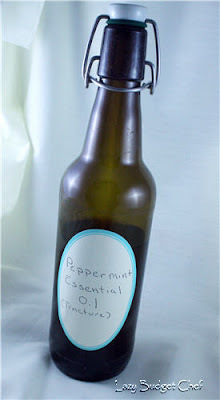 1/4 part vodka + water + lavender essential oil – Tip: I use a combination of lavender essential oil and homemade peppermint extract in the fabric spray I use on our bedding to help us sleep well. Recipe 2. 1/4 part vodka + water + fabric softener or Purex Crystals – 92% of the Purex Crystals ingredients are natural but the fragrance is made from synthetic ingredients. I’m including it because I tried it and it works and I’d be a liar if I didn’t admit I use Purex Crystals from time to time to eliminate winter static cling. Use your best judgment on this one. Recipe 3. 1/4 part rubbing alcohol + water + essential oil or extract – This one is my favorite and the one I use after the experimentation period. Please keep it out of reach of curious children and doggies. Thank you. Recipe 5. 1/4 part vinegar + water+ essential oil or extract – As much as I love to use vinegar to clean, this recipe was not my favorite. I had to use more essential oil/extract to cover up the vinegar smell to my liking. Some folks like to add scent using fabric softener (try to use a plant based fabric softener like Ecover or Seventh Generation please. It works just as well and is safer for your family) because it is safe to use on fabrics. Personally I think using fabric softener is scent overkill but some folks like more heavily scented products than I do. Use whatever works for you.